Your falsies are only as good as your glue. The secret to sticking the perfect falsie application is a quality glue. This latex-free adhesive fast-dries clear for an instant, firm hold that won't sweat or fall off. Easily peels away when you're ready without harming your natural lashes. 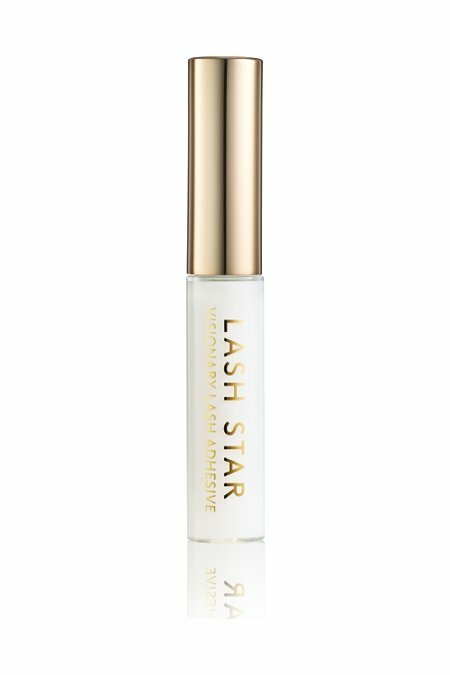 Apply a thin line of the Visionary Lash Adhesive to the lash band with the brush applicator, applying an extra dot at each end and at the center for a secure hold. Once the Visionary Lash Adhesive has become tacky, using our Lash Applicator Tool carefully place the lashes at the base of your natural lash line. With the Lash Applicator Tool, adjust placement as needed and hold lash down to secure. ACRYLATES/ETHYLHEXYL ACRYLATE COPOLYMER, PROPYLENE GLYCOL, PHENOXYETHANOL, ETHYLHEXYLGLYCERIN.